Chronic depression is a serious medical condition and should not be dismissed as just an episode of feeling sad or blue. This disorder, which affects nearly 20 percent of the population, can have a great impact on a person’s quality of life. Even with the high incidence of depression, there are still misconceptions about this disorder. Here are some of the myths and the facts behind it. Myth: Depression is associated with ageing. While many elderly people get depressed, this mental condition is definitely not a part of the ageing process. Thisdepression may be caused by health conditions, certain medications, or the circumstances in his or her life. But it does not follow that you will get depressed as you advance in years. There are so many elderly people who are well-adjusted to their situation and exist in a very normal manner. The important thing is to address factors present in theelderly that may lead to depression. Myth: Depression is not a real illness. Again, depression should not be equated with just ordinary sadness. 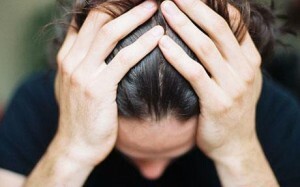 Depression is a real medical disorder and has been identified as a major cause of disability. In fact there are already studies that link depression with abnormal activities in the brain, making it a clinical concern. Myth: A person gets depressed because of self-pity. In a society where mental toughness is admired and emulated, it is very regrettable that depression has been labeled as a weakness. Something associated with people who are lazy, people who feel sorry for themselves, and those without self confidence. It must be pointed out that depression is a real medical condition and may be caused by factors beyond the control of the person. Myth: People who are depressed are always sad and cry a lot. This misconception may have to do with movies in which depressed people are always depicted as crying and keeping to themselves. While there may be depressed people like that, most do not exhibit those actions. They may just feel empty and have a feeling of worthlessness but not necessarily shedding tears every so often. Others may even continue with their normal activities, only that it gets worse unless the depression is managed properly. Myth: Talking will only worsen the condition. This is very far from the truth. Again, this might be the effect of our culture where we keep our weakness to ourselves and feel embarrassed to share them. Scientific evidences will show that talking with professionals can greatly help the depressed person. There are numerous types of psychotherapy that can be utilized in treating these persons. The healthcare provider will be in the best position to come up with a treatment option based on her or his evaluation of the depressed person’s condition.